Bored of Apple logo at the back of your MacBook? 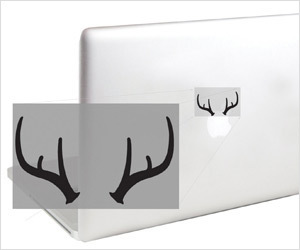 Grow some Antlers out of this Apple logo. For starters, Antlers is sort of horns (large branching bony appendages on heads of male deers).